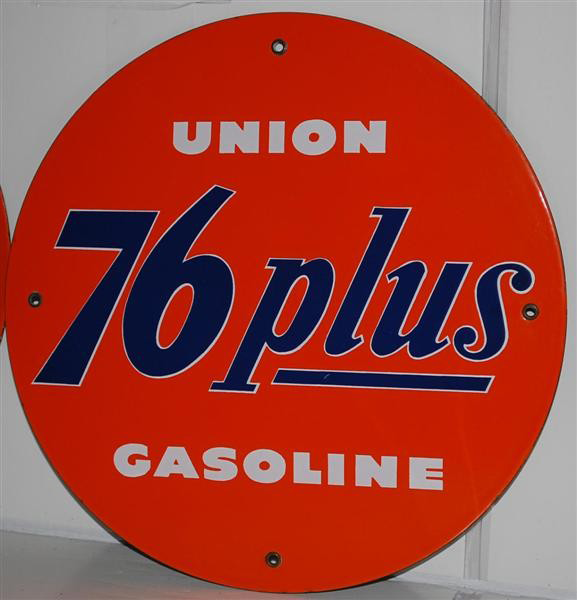 This is a round Union 76 Plus porcelain sign. This particular Union 76 Plus sign is orange with blue and white text. It reads, “Union 76 Plus Gasoline”.